The A592 between Bowness in Windermere and Newby Bridge in Cumbria is subject to a long term closure. As a result a free mini-bus bus service has been put in place between Windermere and Newby Bridge using a series of minor roads. 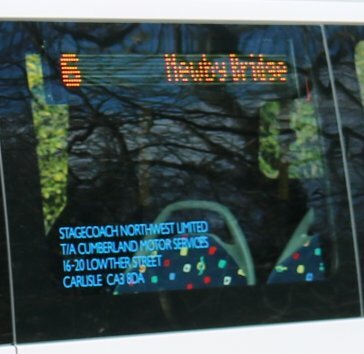 The service, which takes 46 minutes, is being operated by Stagecoach using a fleet of Mercedes mini-buses. 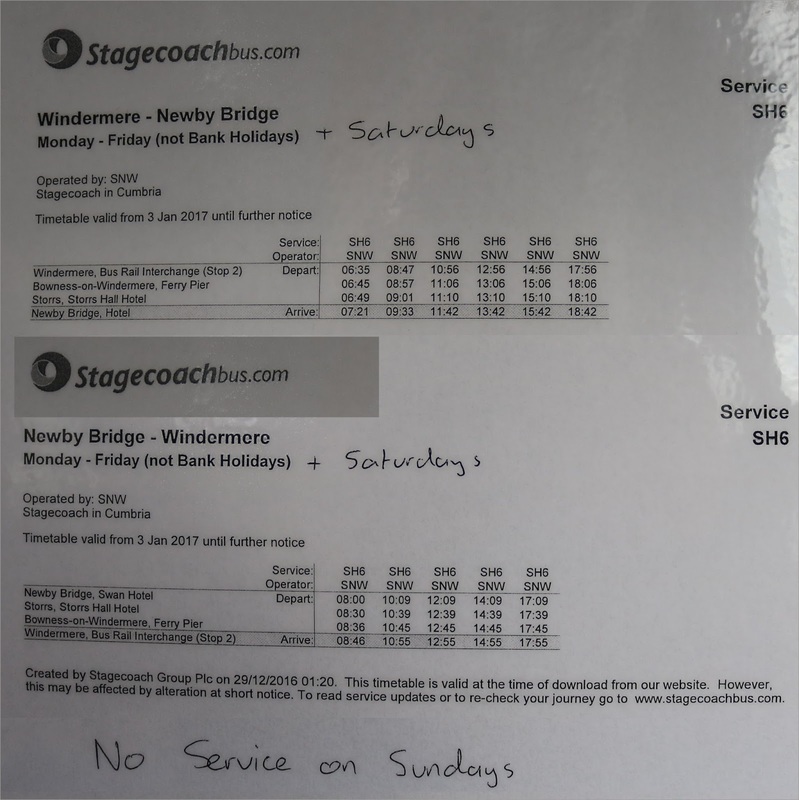 I sampled the service on the 4th March catching the 12.56 from Windermere Railway Station. The route initially follows the A592 south to Bowness, traffic was reasonably quiet so we were able to pause for time at the steamer pier at Bowness for a minute or so before proceeding again at 13.06 along the A592. The bus travels as far as the actual works being carried out before turning around and heading north again until a right turn is made onto a minor road which climbs away from the lake. From here a series of minor roads are used to bypass the road closure, the route becoming very scenic as the bus climbs up and over the minor roads. Eventually views of the southern part of lake Windermere are apparent as the route drops down and regains access to the A592. We reached the terminus of the service at 13.45 a couple of minutes late but with plenty of time for the mini-bus to turn around and wait for the X6 Barrow to Kendal service with which it is timed to meet. The Kendal bound X6 arrived a few minutes late at 14.13 and I took the opportunity to hop on board in order to return to Kendal. The free service is certainly worth trying, allowing passengers to travel on picturesque roads which don't normally have bus services running on them. It hasn't really been advertised as tourist service due to lack of capacity on the mini-buses, but it is there for anyone to use and comes highly recommended. The terminus at Newby Bridge. 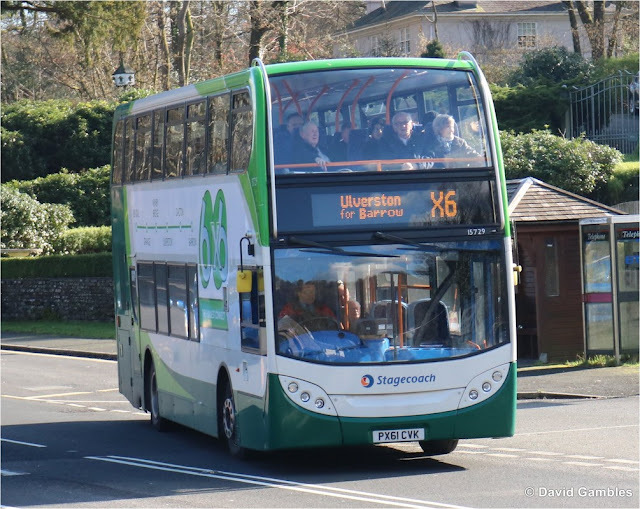 Scania - ADLEnviro 400 PX61 CVK is operating on the Barrow bound service.